Fort Zachary Taylor Beach is often referred to as 'The best beach on Key West.' Located at the southwest tip of the island on the 54 acre Fort Zachary State Park, the beach is a favorite island destination for locals and tourists alike. Beach surroundings provide an idyllic island setting for weddings on the beach and private parties. You can picnic, swim, and snorkel right off the beach in the turquoise waters. 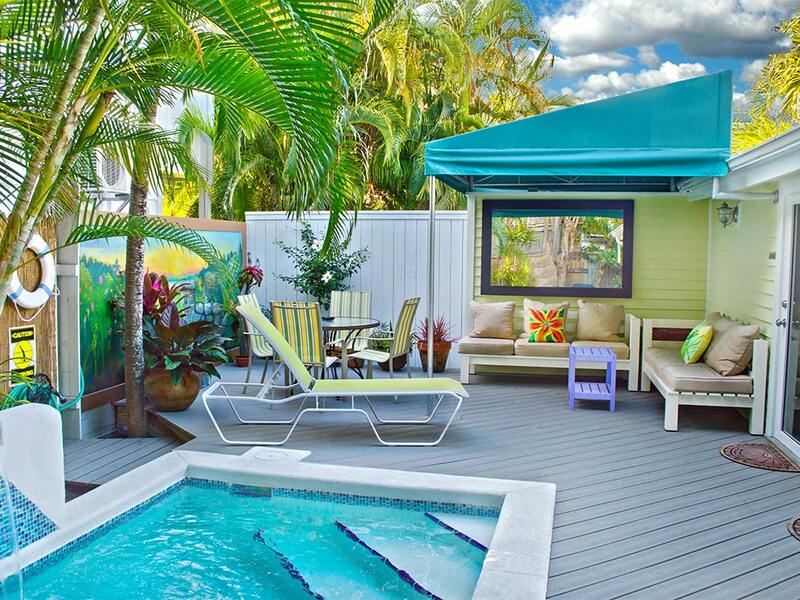 There are bathrooms, rinse showers, and beach chairs for rent. An on site beach café called 'Cayo Hueso Café' offers snacks, drinks, and sunscreen, and is also available for catering. Guided tours of the fort are available daily. You have to pay a small entrance fee to get in but for everything it offers ... it's a bargain! Get There: Go all the way to the end of Southard Street through the gate at Truman Annex. Parking lots. Smathers Beach is Key West's largest strip of sandy beach and is on the south shore of the island. Famous for all kinds of water sports including kite surfing, kayaking, wind surfing, and parasailing, and of course you can swim and snorkel at this beach too. On the beach there is plenty of space to sunbathe; volleyball is popular and sometimes draws a crowd. There's a wide paved path along the beach for walking, biking, and skating. You'll find plenty of great beach food at curbside vendors licensed by the City of Key West and picnic tables to sit and eat. Smathers Beach provides on-site restrooms and offers beach chairs, umbrellas and water sport equipment from established vendors. This beach is also a popular wedding location for couples who want a tropical Key West wedding. Get There: This is the first beach you see when you drive onto Key West along the south side of the island. It starts just south of the Key West Airport and goes all the way along South Roosevelt Blvd to about the 1900 block of Atlantic Blvd. Park curbside next to the beach on South Roosevelt Blvd. Higgs Beach is a personal favorite of many locals. 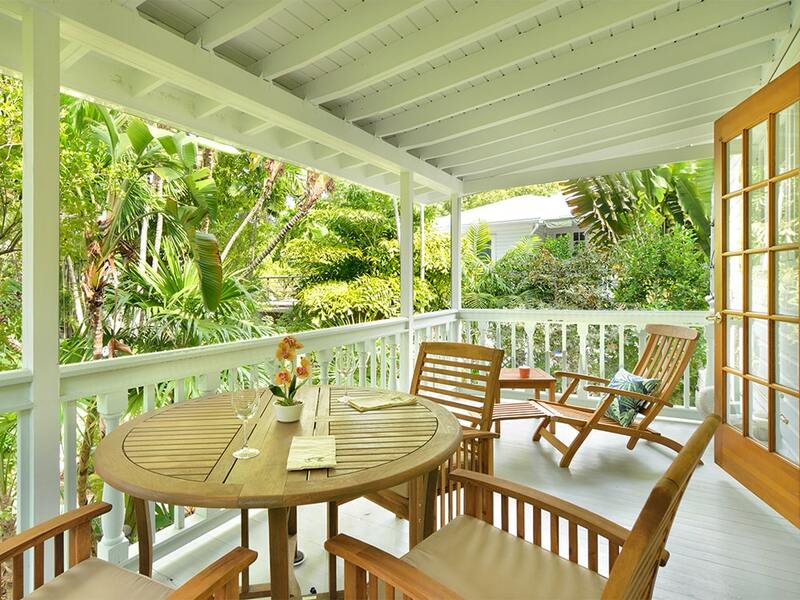 It has a treasured Caribbean-style retro feel and exudes an authentic charm that is rare these days in U.S.A. beach communities. 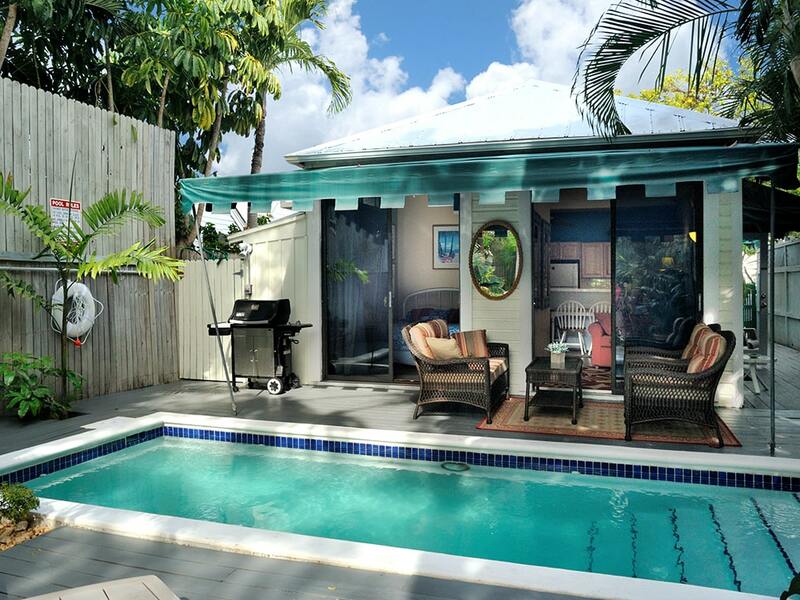 While Higgs provides a very endearing beach scene, it still has an understated presence in Key West. 1950's beach kiosks and a volley ball net create an ambience for 'old time' fun. Rent kayaks, water toys, and beach chairs from old fashioned beach stands and there is plenty of room to sunbathe. A long wooden narrow pier allows you to walk out into the ocean. The water stays shallow for a long way out making it a great swimming place for the entire family. A focal point of Higgs Beach is the unique 'Salute on the Beach' restaurant that has rapidly become a destination in itself. The White Street Pier is right next to the beach. 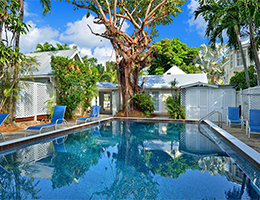 Visit the African Slave Cemetery and the Key West aids Memorial. Across the street there are beautiful tennis courts and the 'Astro-City' playground for the little kids. Get There: 1000 Atlantic Blvd. (end of Reynolds St.) 'Next door' (just east) to the Casa Marina Resort. Plenty of free parking in a parking lot. Rest Beach is just east of Higgs Beach on the opposite side of the White Street Pier. Many people disregard this precious stretch of island sand but it's worth taking a stroll through. It has a beautifully designed little roped off boardwalk that makes a short meander through the sand and beach vegetation. There are a couple of kiosks to sit and rest. It reminds me of similar little beach areas in The Bahamas and provides a great vantage point to look at the White Street Pier. There is also a wooden deck where you can opt in for a yoga class right on the beach. Across the street are Key West's impressive bocce ball courts for Key West's Bocce Ball League. Use restroom facilities and amenities next door at Higgs Beach. Get There: Just east of 1000 Atlantic Blvd. (end of Reynolds St.) East of Higgs Beach. Plenty of free parking in a parking lot at Higgs Beach. Dog Beach is a must do if you love your dog and want to swim with him. Of course you can just enjoy watching other dogs and their owners frolicking in the ocean and playing on the beach. This is a precious little strip of beach with plenty of sand and some swaying palm trees. Conveniently situated right next door to Louie's Back Yard restaurant and the After Deck Bar, you can sip and eat and watch this unique scene from a great vantage point. One of the most unique beach scenes you'll find anywhere. No designated beach restrooms. Get There: 700 Waddell St. Right next door to Louie's Back Yard. Park on the street in residential neighborhood, or better yet ride your bike over. South Beach Key West is perfectly perched at the top of Duval Street at the very end of Uptown Duval. 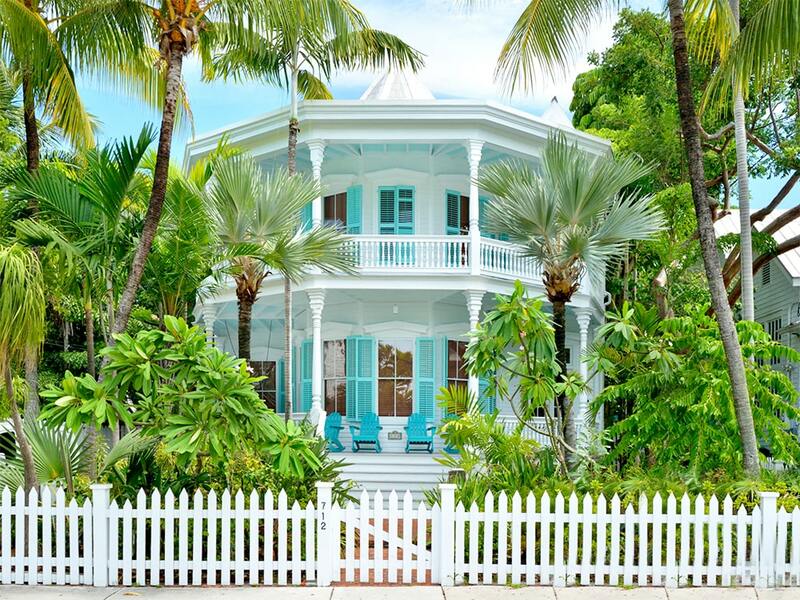 Not to be confused with the art deco scene in South Beach in Miami, Key West's South Beach does have a touch of casual island elegance that is carried over from the picturesque Southernmost Beach Cafe. The beach offers a well maintained and small stretch of white sandy beach nestled in between a hotel complex and a sea wall. 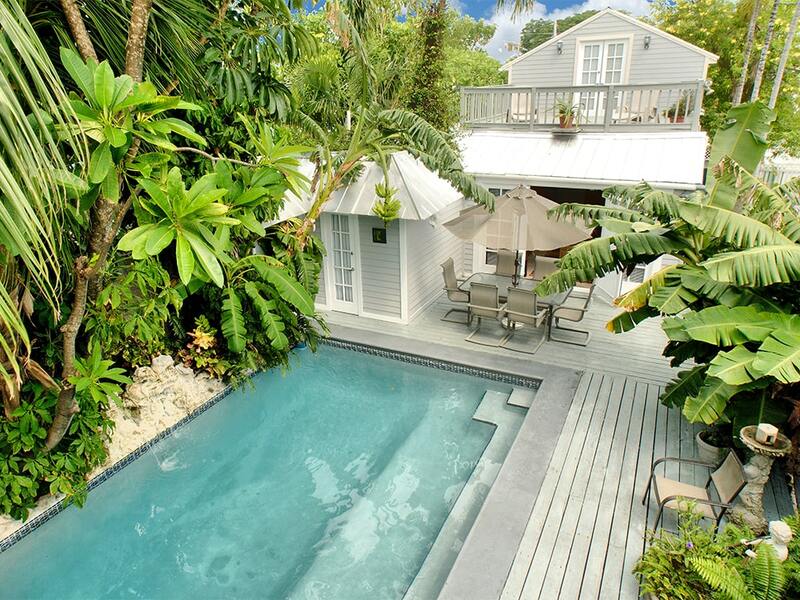 Here you can wade out through beautiful turquoise water to swim, and sunbathe on the beach. Rent beach chairs and sun umbrellas. Restrooms in the bar area. Get There: The very end of Duval Street, 1300 Block, at the southern end. Metered parking on the street. Best to ride a bike or walk over. Simonton Beach is on the north shore of Key West on the harbor side of the island. Well... this is kind of a beach, so it's not often mentioned. It's really a tiny piece of "sandy beach" mostly used now to catch a water view when walking the harbor towards the downtown area. In the 'old days' when a/c was a luxury, it was an afternoon gathering place where hippies, fishermen, and colorful local characters would jump in for a swim and cool off and then go to Sunset Celebration. It brings fond memories to many locals. No designated restrooms. Get There: The very tip of Simonton Street on the northern end. Metered parking on the street. Best to ride a bike or walk over. 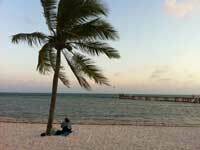 The Bahia Honda beaches are located in the Bahia Honda State Park at MM 37 on the Overseas Highway in Big Pine Key. The park has two award winning beaches: Sandspur Beach, located just north of the park entrance, and Calusa Beach, next to the Bahia Honda Bridge. We include these beaches even though they are about 45 minutes from Key West because it is a local's favorite trip; the beaches are truly beautiful and have won several awards. This once remote island (before bridges) resembles the Bahamas in so many ways that you when you walk the beaches you can almost imagine you are in the Abaco Islands. You'll get to see a wide variety of wading and shore birds and unique island plant life. You can picnic on the beach, snorkel, scuba dive, and fish from the shore and finish your day with a stunning sunset. Bahia Honda Park includes over 500 acres or land and an offshore island. Concession stands offer kayak rentals, refreshments, and gift store. Restrooms, changing rooms, and showers. There is a small State Park entrance fee, but for everything it offers... it's a great deal! 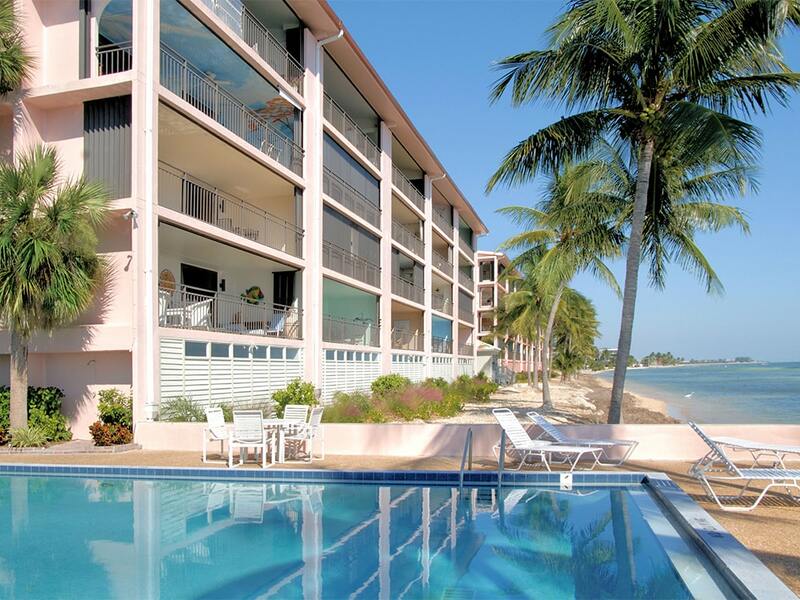 Get There: Drive north from Key West to 36850 Overseas Hwy, Big Pine Key (MM37), ocean side. Plenty of parking throughout the Bahia Honda State Park. Fort Jefferson - Dry Tortugas National Park is located 70 miles off Key West and is a phenomenon of its own standing. The park is a protected marine sanctuary encompassing 64,700 acres that includes seven tiny islands, each with white sand beaches, surrounding crystal clear emerald waters and offshore coral reefs. We include these beaches even though you have to take a ferry or sea plane to experience them because they really are "the jewel of Key West." As our friend and local legend Dink Bruce put it, "To go to Key West without visiting the Dry Tortugas, is like going to the Grand Canyon and not looking over." Beaches offer some of the best snorkeling in the North America and living coral reefs are directly accessible from the beaches. From the shore you can see, diving, and bird watching. The park is isolated and visitors need to bring their own refreshments, food and water. The visitor center at Fort Jefferson has restrooms and offers self-guiding tours and park Ranger led activities to learn about the surrounding nature and history of the park. It is also possible to camp at the park. 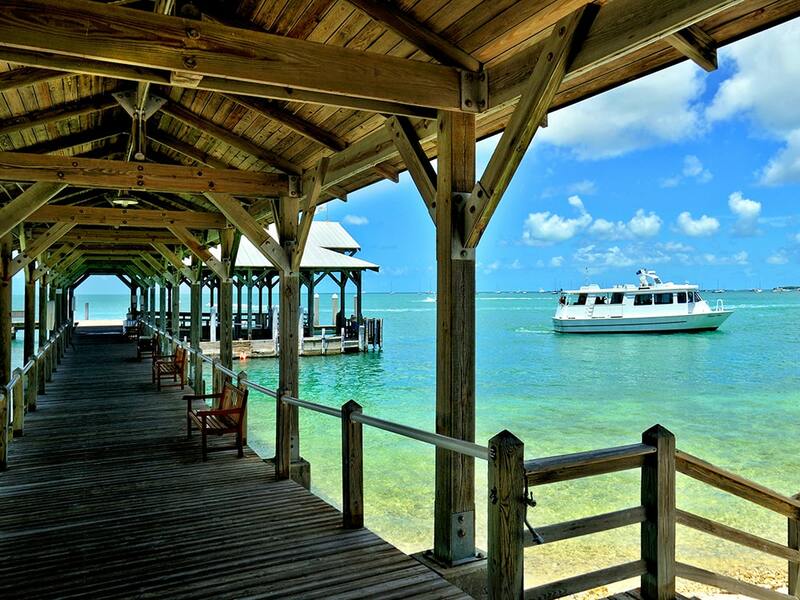 Get There: Take the Dry Tortugas Ferry, a high speed catamaran from Key West. There are daily seaplane flights into the park that pass over ship wrecks and treasure sites. For more information on how to get there and camping in the park please visit their web site fortjefferson.com.